We want to hear from you! 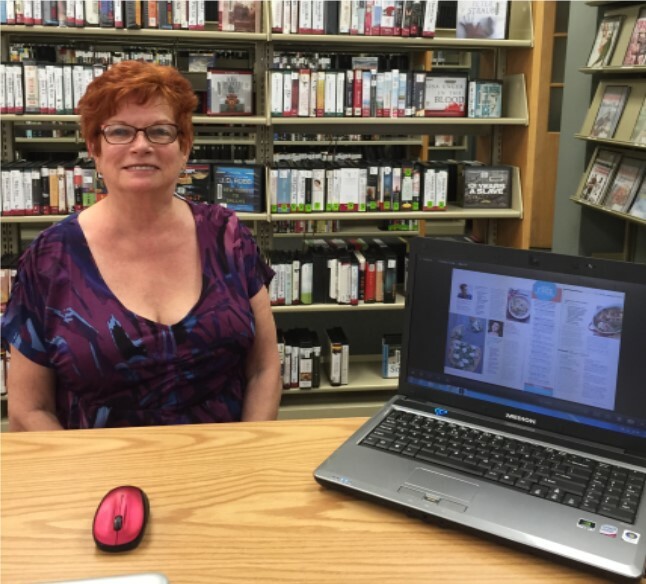 We will be featuring stories from you about why you use the library and why you love it! Whether it be our programs, great selection of books or eResources, we want to hear about it! Have a story you want to tell? Contact Pam Calfo at calfop@einetwork.net or 412-885-2255. Your story could be featured in an upcoming newsletter and also on our website. 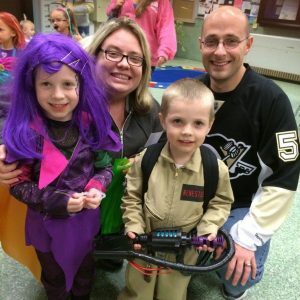 Laura Benestelli, her husband Brian and their two kids: Ava (5) and Dylan (4) attend many of the programs at the library. 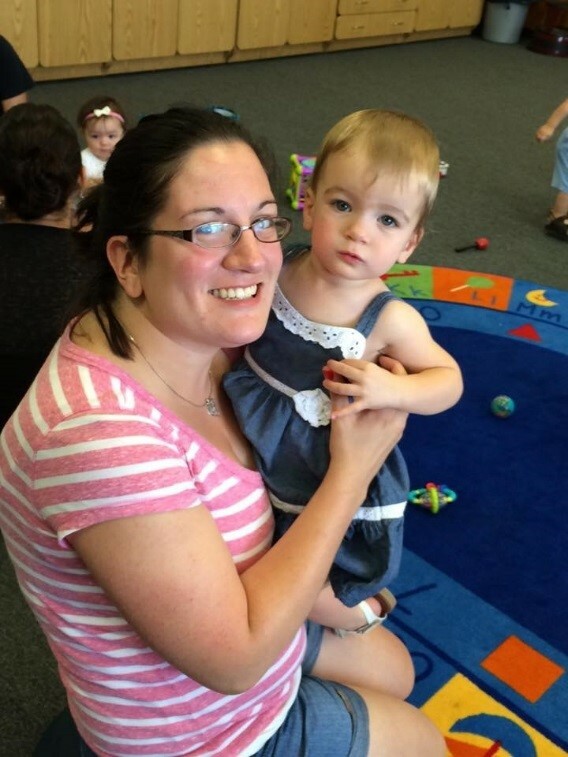 The family is expecting a new addition soon and Laura said she will be bringing her new baby to storytimes at the library. 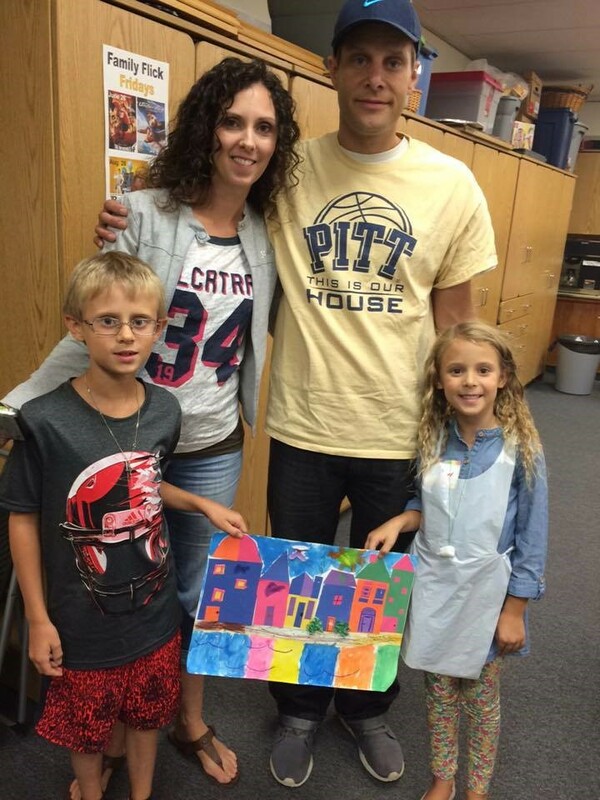 Mary Ann Temple brings her Dad, Mel Lang, to the library for watercolor classes, held in the spring and fall. 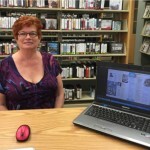 She uses the library’s digital magazine service, Zinio and schedules technology appointments. 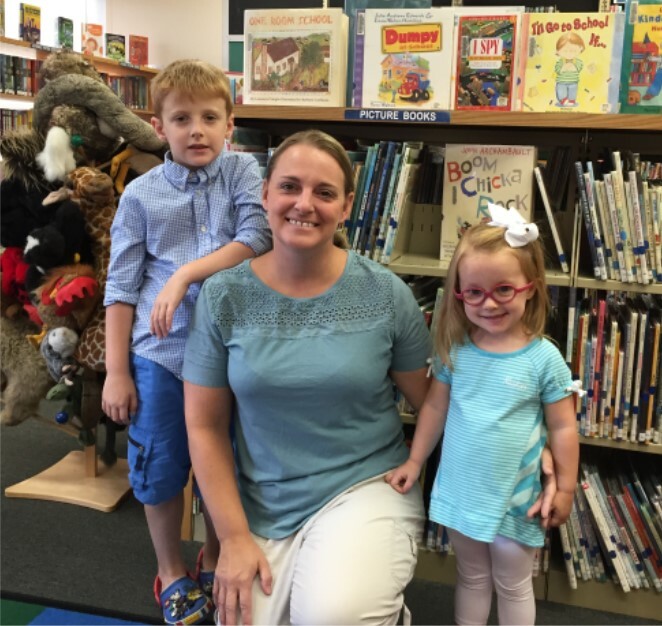 Stephanie Cormier and her two kids – Lucas (7) and Emily (3) – attend many programs at the library. 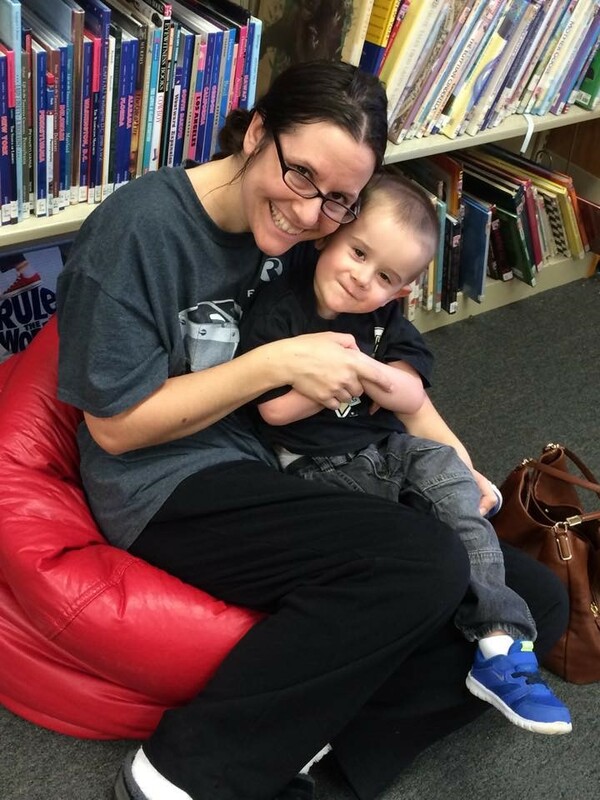 Lucas said his favorite part of the library is, “getting to read the books.” Both kids were part of this year’s summer reading program. 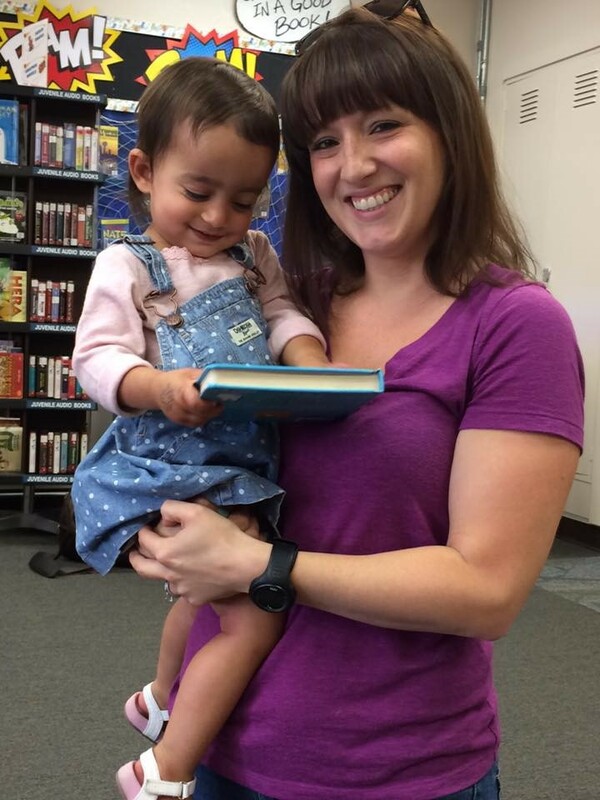 Each day at the library there are so many great moments. Here are some of those moments. 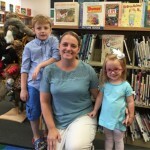 "As a family, we are going to make a conscious effort to support every fundraiser that this library has so that these great programs and services continue. We would love to see you all in your own building, because it's deserved." "Guess what?! I love the library so much that I'm having my birthday party here in October! It's going to be a Star Wars party! Star Wars and the library...my two favorite things in the whole world!" 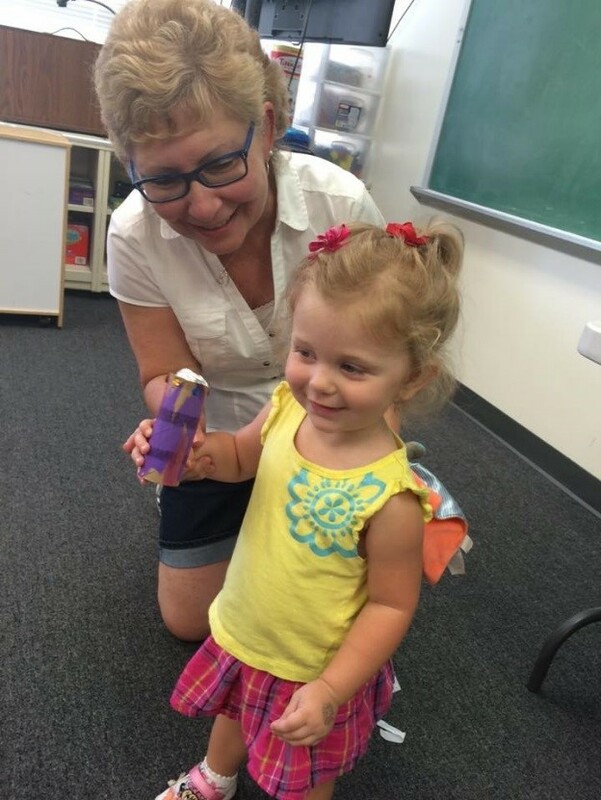 Practicing her rock star voice with grandma after making a microphone craft: "She just loves coming here to the library!" 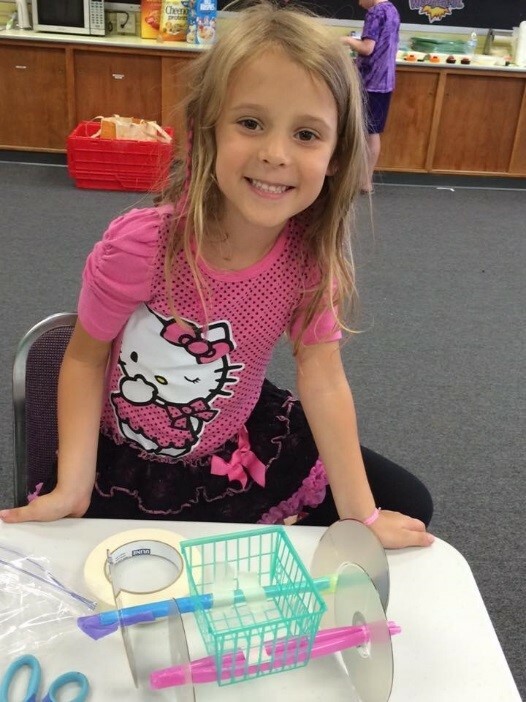 "I learned a lot in the Engineering Adventures Recycled Racer classes,mainly that things don't always work out like you have them in your head, but don't give up and try a different way." 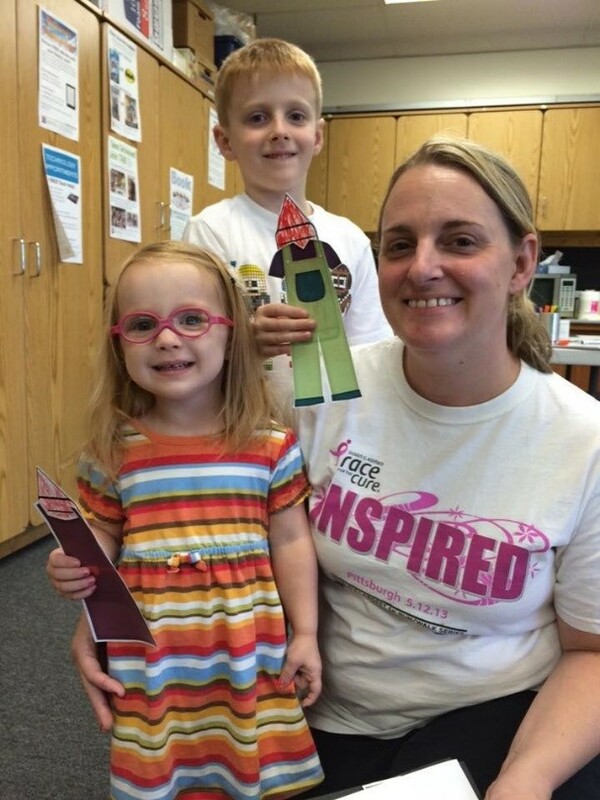 "Every time we come to the library, she gets so excited and as she spots the building she says 'I see it, I see it! That's my library!' And her brother says 'that's my library, too.' And she says 'no it's just mine!" 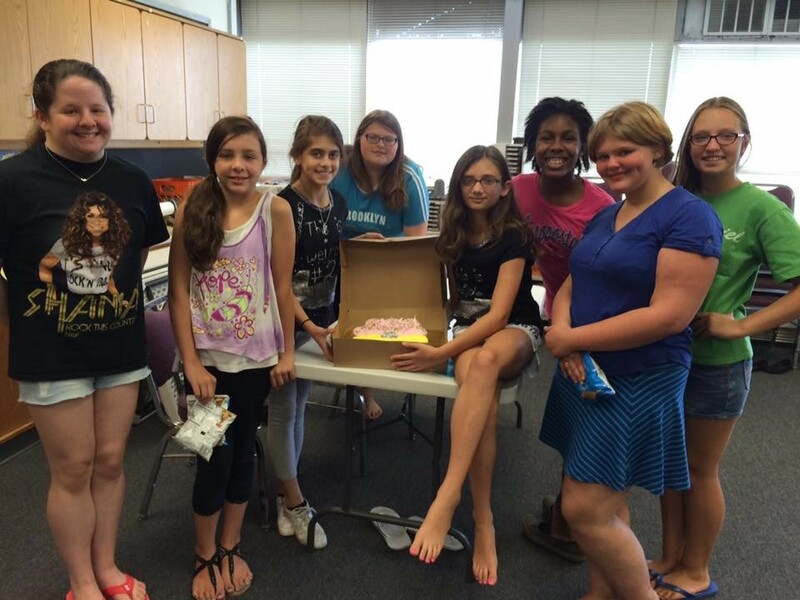 Public libraries...where 12 year old birthdays during drama club practice are celebrated! "When we are at home she starts saying 'row row' and we stop and sing the Row, Row, Row Your Boat song. My mom asked where she learned that and I said "at the library!" "Next to prom, this is seriously the most fun I've had on a Friday night!" 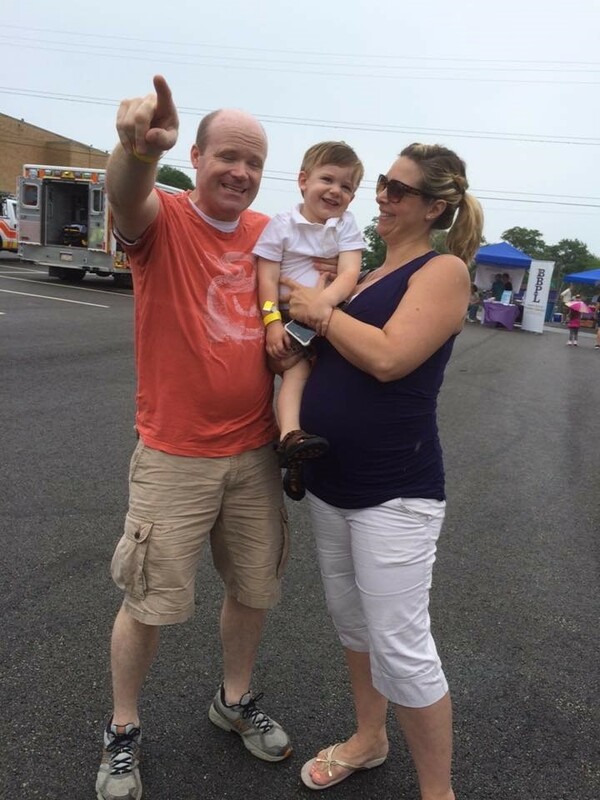 "Today is his 2nd birthday, and when we saw that the library was hosting this Touch-a-Truck event, we knew we wanted to bring him because he LOVES trucks!" 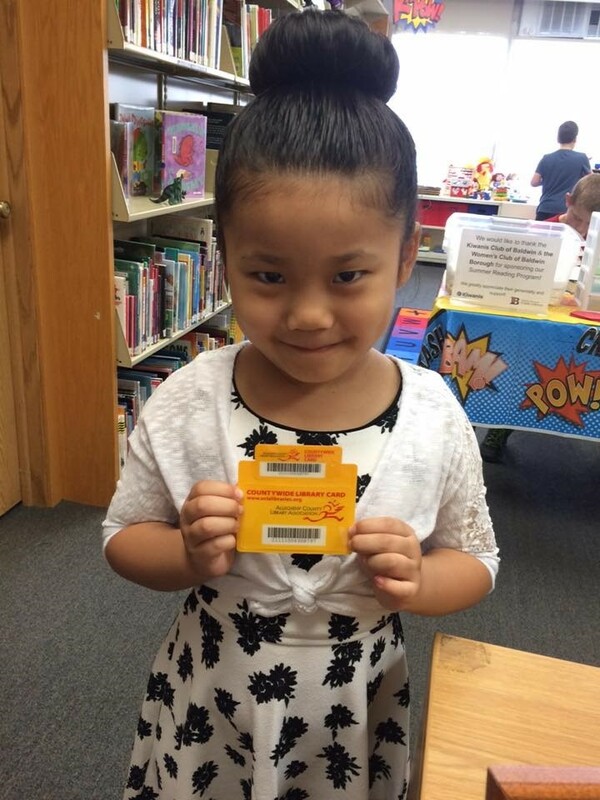 "I got my very own library card today!" 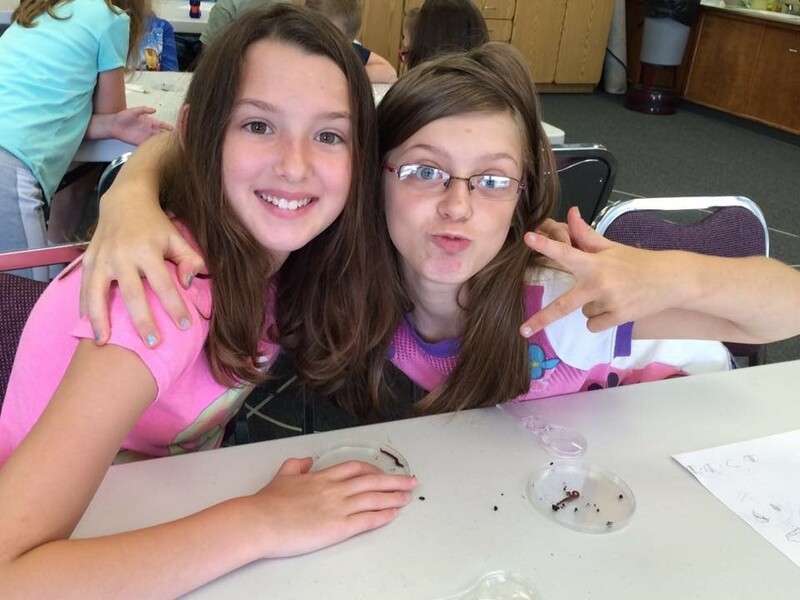 "We had so much fun together and learned so much at the Science in the Summer program like how to extract DNA from a strawberry and making edible candy models of a cell." 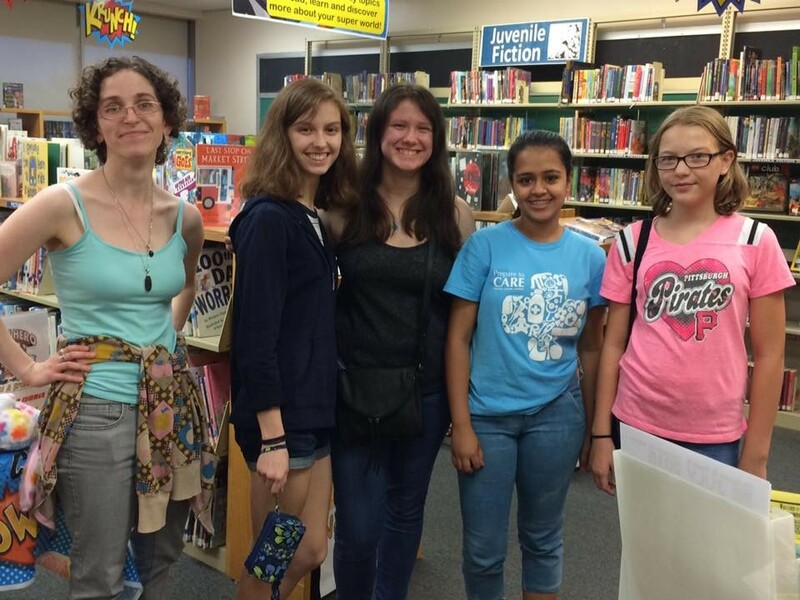 Libraries bring people together: I think I know you from Paynter Elementaty! Do you go to school there?" "Yes, I'm going to first grade!" "I'm going to second! Now we can be school AND library friends!" "It's a really rainy day and I have a day off from work. 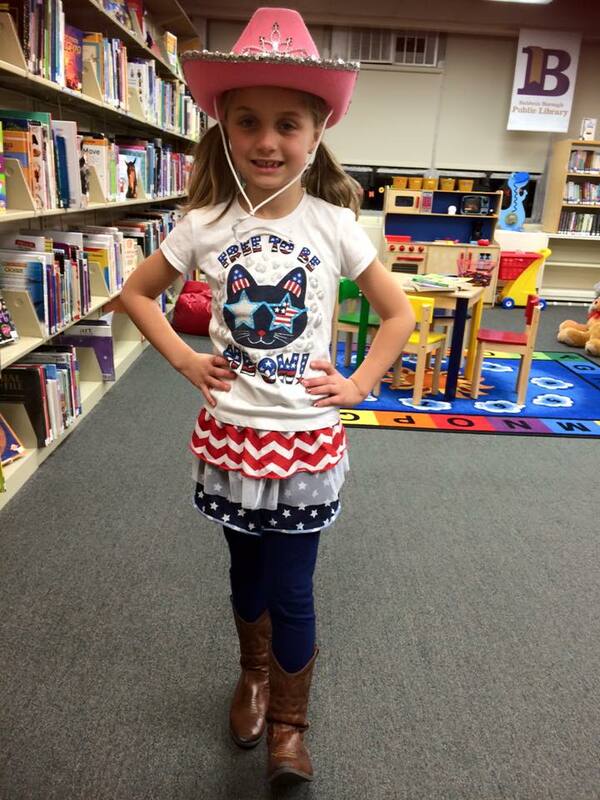 I thought we might just stay home today when she said "no I really want to go to the library!" 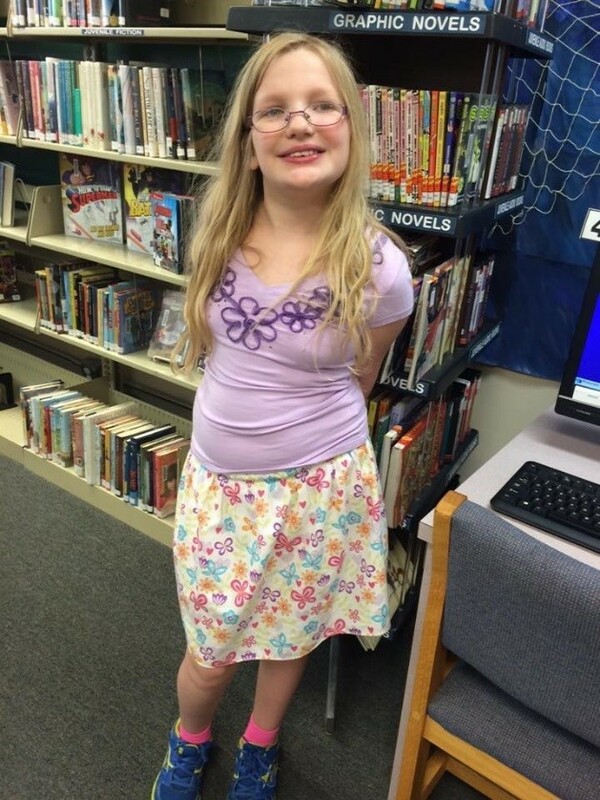 "I'm up to six hours of reading this summer and just love to read. I won for third grade Accelerated Reader at my school this year and will get my name on a plaque!" 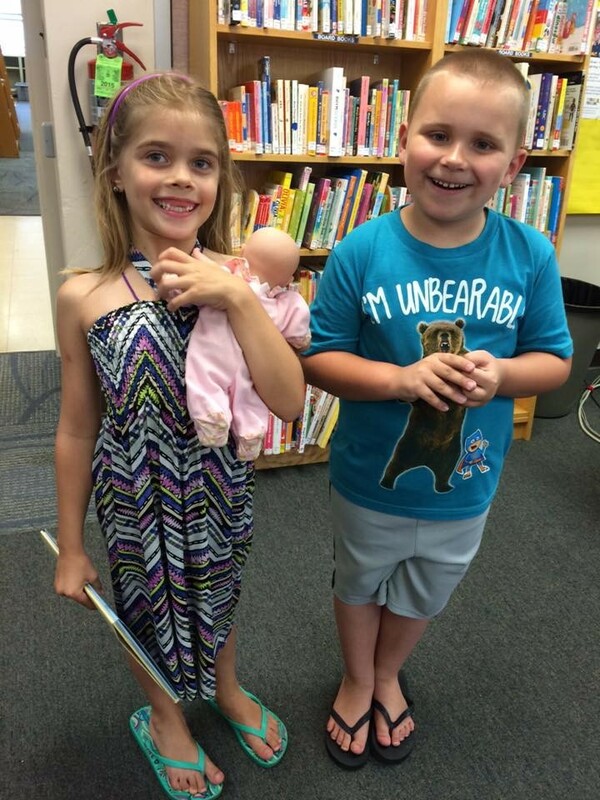 "We love this library! It's just the neatest place! 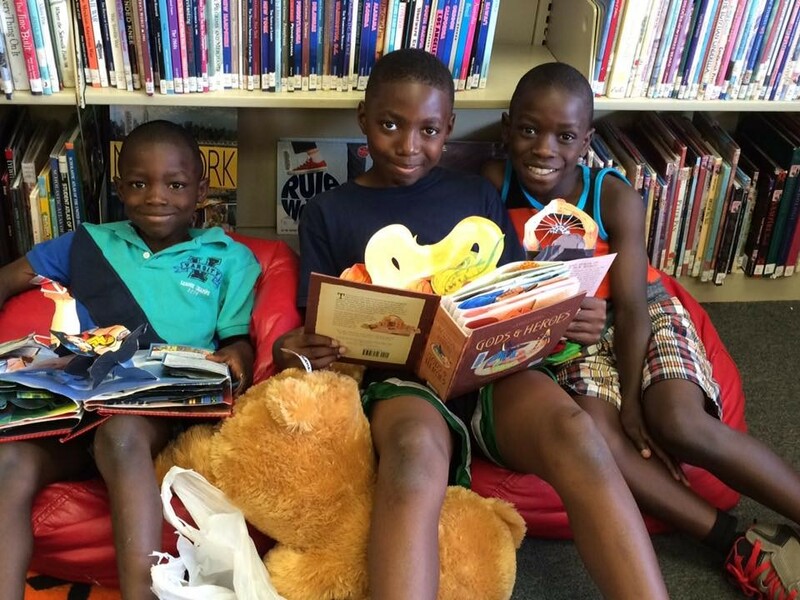 We want to read every book on every shelf!" 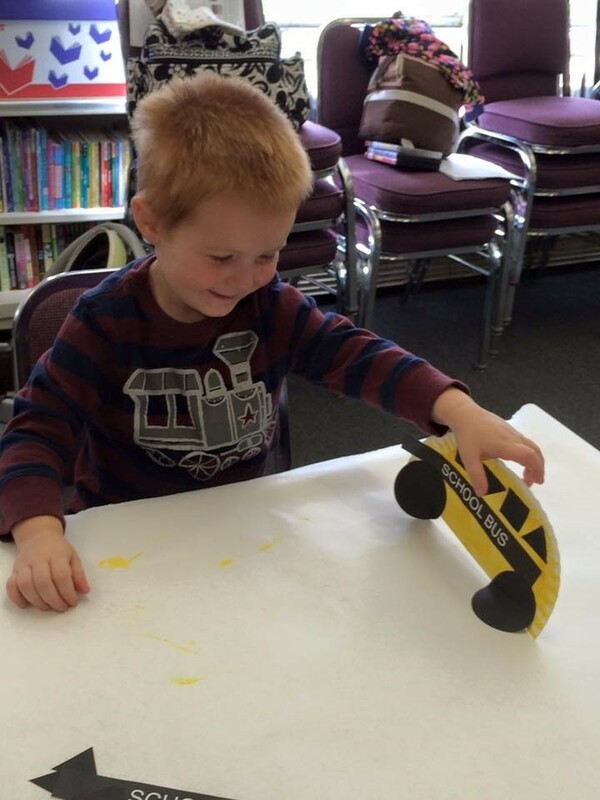 "This was his very first art project and it happened at the library!" 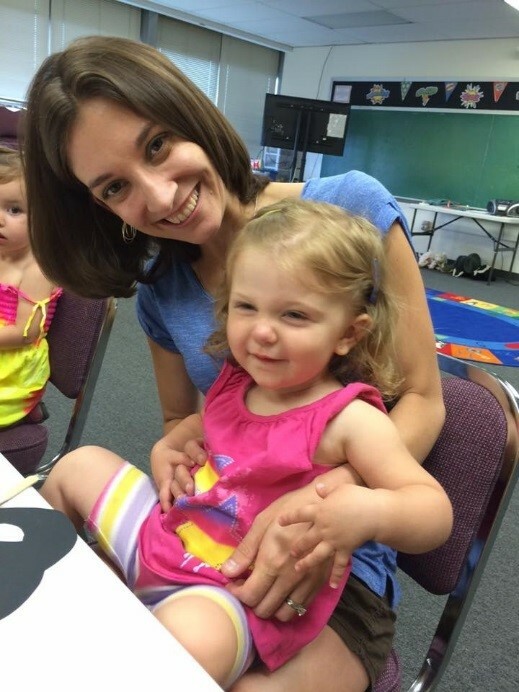 "She can do all the motions to the opposite song we sing at Bouncing Babies each week --big, small, short, tall, fast, slow, high and low! My husband asked how she knew all of that and I said "from going to the library!" "She calls the library her 'school.' 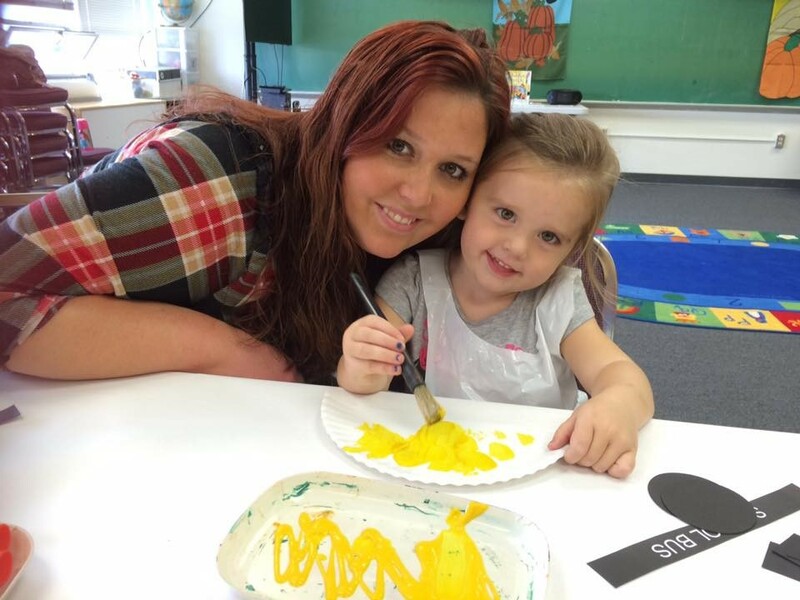 We count the days down on the calendar until her next 'school' day (Tales for 2s and 3s storytime)! She can't wait to come here!" "Look, my bus has a flat tire!" 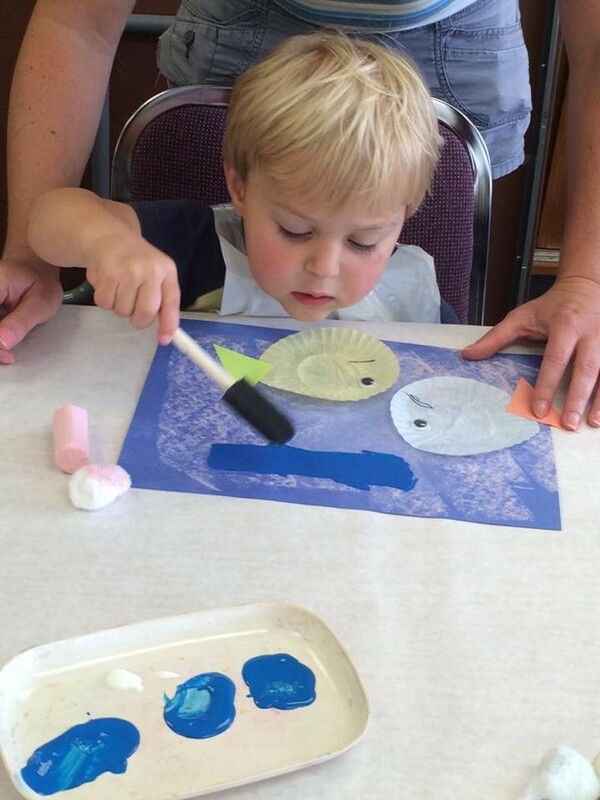 Let your imagination soar at the library! 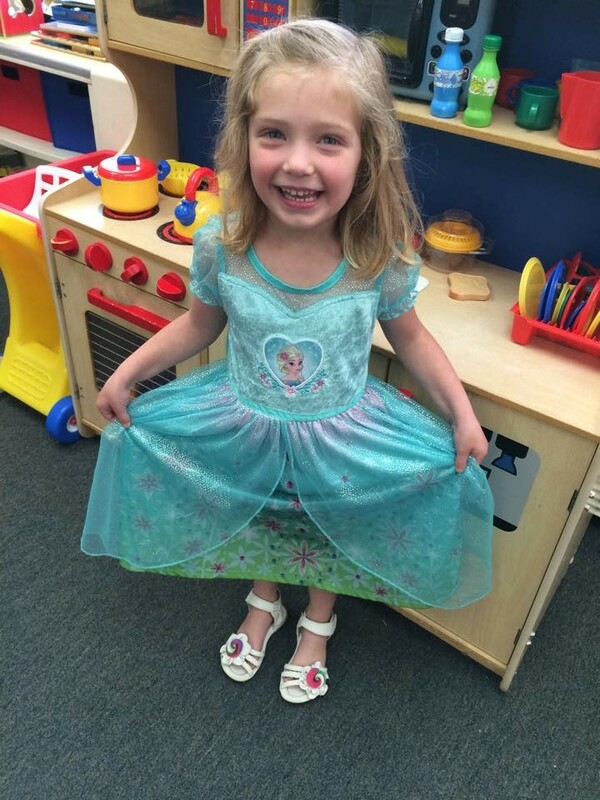 "I'm dressed up like a princess because tomorrow I'm going to be FIVE and my Grammy and Pappy are coming all the way from WASHINGTON! But first, I had to come to the library to play!" 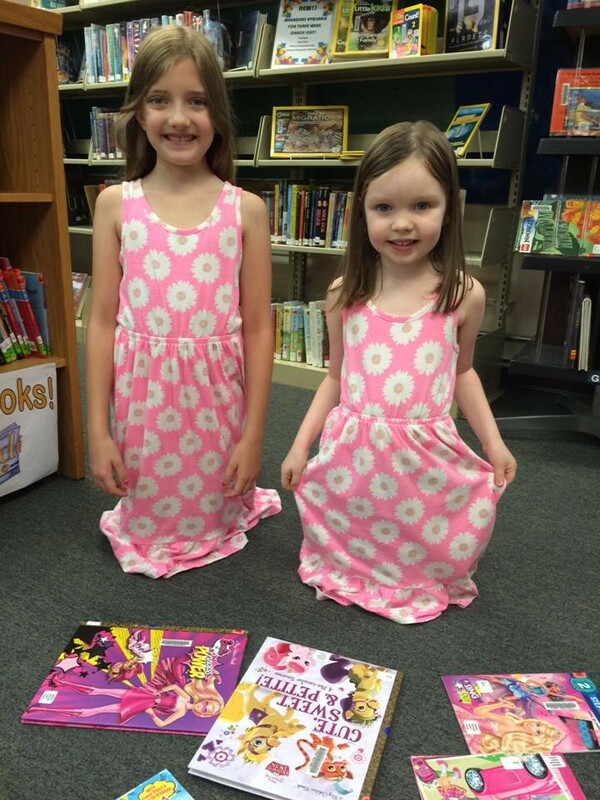 "She has her own calendar and marks down all the library programs she's coming to and then picks her outfits to coordinate the themes! It's so awesome!"